A list of media opportunities, including upcoming events and programs, will be emailed by the fifth of each month to organizations that request one. Updated lists may be received throughout the month. Please contact the Communications Executive Director or the building principal if your organization is planning to cover an event or program on the list. The Communications Department sends by email press releases about upcoming events, student recognitions and more. If you would prefer to receive the information in another format or if you do not currently receive releases, please contact the Communications Executive Director. I am happy to accommodate your request. The Executive Director of Communications is the first point of contact for media representatives covering school-related news, programs or events. For sports-related interviews or information, please first call the Athletic Director or the head coach of the respective sport. School employees and students may be interviewed during the school day when such interviews, in the judgment of the principal and the Communications Executive Director, do not disrupt the school environment or the health, safety and welfare of students and employees. All visitors, including members of the media, are required to check in at the school office upon arrival. Because this provides a safer environment for our students, there are no exceptions to this rule. EPS has developed an extensive crisis communication plan to keep the public informed in the event of an emergency. For the district’s crisis communication media guidelines, please read below. 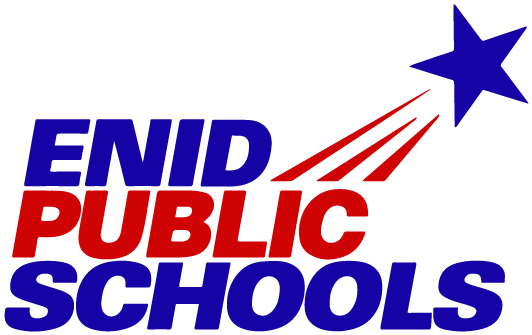 News releases, board agendas, lunch menus, calendars and more are also available 24 hours a day by visiting our website, www.enidpublicschools.org. If you have any questions, please let me know. Again, thank you for your support of Enid Public Schools. You provide a valuable service to the residents of our community and state. The main focus of EPS officials during any time of crisis will be on the security and safety of all students and staff. Our secondary focus will be to return the school to its instructional program while supporting and meeting the emotional and physical needs of the members of our educational community. The Communications Executive Director serves as the district spokesperson, unless otherwise determined by the Superintendent. Media access to students and staff on school property and/or during the school day will be limited and organized by the EPS Communications Department. All media representatives must contact the Executive Director of Communications to ensure access to regular updates and information and to be admitted to news briefings. Credentials may be issued by EPS for those following this protocol. Media representatives are also encouraged to wear credentials issued by their respective newspapers and stations. District officials will determine the access that the media will be granted within our schools. At its discretion, EPS may offer interviews with staff and students (with parental consent) in a controlled environment. No interviews will be conducted during school hours or on school property without the presence of an EPS administrator. EPS is committed to protecting and respecting the privacy of its students and their families. Cooperation from members of the media is appreciated. Special events may be handled by media pool assignment at the discretion of EPS officials.